An $8 billion energy bill isn’t modest by any means, especially when this bill is coming from our schools. From kindergarten to high school, these school buildings use an average of 10-kilowatt hours of electricity and 50 cubic feet of natural gas per square foot every year. Saving energy is a top priority to reduce this cost. Energy is used almost everywhere in a school which includes overall lighting, heating and cooling, as well as other equipment such as computers, projectors and appliances in science labs. In K-12 school buildings, space heating, cooling, and lighting account for nearly 70 percent of school energy use. Overall, energy accounts for 2 to 4 percent of school district annual expenditure. Energy costs can be cut without having any negative impact on the quality of education with the help of eco-friendly classrooms. How can Eco classrooms help lower the bills? 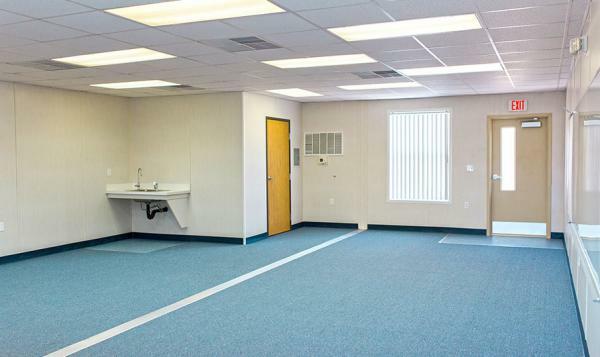 EcoTM modular classrooms are making it easier to cut down energy costs through innovative and state-of-the-art design. 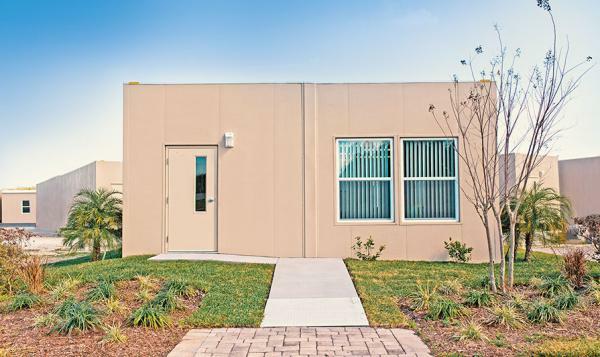 Mobile Modular has developed the Campus Maker Eco Modular Classroom, an eco-friendly school building that meets all 2012 energy efficiencies and structural requirements of the Florida Building Code (FBC). The eco-friendly HVAC system, EPDM roof and low-e-insulated windows alone can reduce energy consumption up to 38 percent. Energy-saving features include steel stud walls, SIPs, R-26 insulation, EPDM roof and HVAC with a programmable thermostat. 1. Steel stud walls with Structurally Insulated Panels: Steel studs are lighter, fire-resistant and resistant to insects and rotting. Structurally Insulated Panels (SIPs) are essentially made of a foam core packed between two structural facings which are usually made of oriented strand board. SIPs help increase insulation because there are no braces or studs for openings in the insulation and they deliver greater R-values. 2. R-26 Insulation: The higher the R-value, the greater the insulating capacity. Different R values are recommended for different areas of a structure, but an R-value of 26 is sufficient to meet the needs of a majority of states in the US. 3. EPDM Roof: The roof has R-24 insulation with a white EPDM rubber roof. Ethylene propylene diene terpolymer or EPDM, available in both dark and light colors. The dark-colored EPDM helps reduce heating costs and keeps the building warm while the white colored EPDM offers UV resistance and is better for warmer weather. 4. Highly energy efficient HVAC with programmable thermostat: A programmable thermostat allows you to control the temperature using pre-programmed settings for various times of the day, so you do not end up spending on energy consumption during after school hours. The Campus Maker Eco Classroom has other great features that elevate the classroom experience. Mono-pitch roof design with a two-inch rear overhang diverts rainwater from draining onto an exterior opening which prevents wet hallways and entrances. 186 MPH wind resistance meets all wind zones in Florida, including Miami Dade, offering robust protection during bad weather. Ducted air supply distributes air quietly, efficiently and evenly. Generally, ducted air supply allows you to control the temperature in rooms from a single point of control. Our eco-friendly school buildings give you the additional benefits of high-quality modular construction. Our modular buildings are a quick and reliable option for your growing space needs. In-stock standard plan buildings can be delivered the next day, and for more customized plans, modular school buildings can be delivered in less than a few weeks. Modular buildings can be delivered hassle-free on trailers, and temporary installations can be easily relocated. Modular school buildings are flexible; floor plans can be adjusted according to your needs and can serve multiple purposes. Mobile Modular provides a unique 30-day billing cycle for all rented modular buildings, two days more than the average billing cycle. If you’re new to modular buildings, our team will help you in selecting the most appropriate building from our inventory. Mobile Modular has been providing educational solutions for over three decades. Learn more about how we can bring a cutting-edge, eco-friendly school building solution like the Campus Maker Eco Modular Classroom to your school. Contact us today.